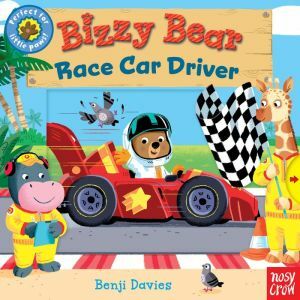 Today, Bizzy Bear is driving in a big race — ready, set, go! Switch the light to signal the start and help him speed along in his race car and zoom around the track. Then lift the flag as he crosses the finish line! But will he get there first? Another exciting title in this best-selling series, which encourages preschoolers to get involved in the storytelling.